Burster | The Measurement Solution. PROCESS MONITORING MADE BY BURSTER. DIGIFORCE® – Innovation stays in the family. Experience a level of process monitoring for your production which is constantly setting new benchmarks. The devices in the DIGIFORCE® line are safe as a bank when it comes to the seamless monitoring of press-fit, joining, riveting and caulking processes, torque measurement and universal signal testing. Unsurpassed performance scope in ist class. Extremely rapid measurement and quick evaluation. Support all relevant fieldbus interfaces. Automated sensor recognition and setup of evaluation elements. Process security at a fair price. 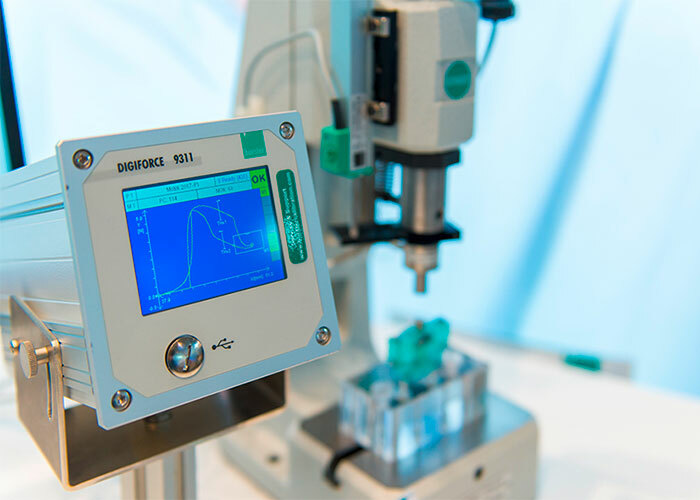 DIGIFORCE® monitors processes in which precisely defined functional relationships between two measured process-relevant quantities need to be demonstrated. These measured quantities are recorded synchronously during the manufacturing process or subsequent functional testing to produce a measurement curve, which is then assessed using intelligent evaluation techniques. After internal evaluation, the measurement curve and computed evaluation results are visualized on the colour display and are also output at the external control interfaces. A high-performance real-time operating system optimises the controller processes to a very rapid cycle which provides results using the global valuation system OK or NOK in only a few milliseconds. DIGIFORCE® by burster. 10 good reasons. Process monitoring from the pioneers in the field. From your sensor and measurement technology specialists. Always state-of-the-art quality and technology. For more security in your production process. Reliably and sustainably stably in use around the world in thousands of applications. Always quickly available, even when the situation gets tricky. Your quick, direct contact to our product specialists at all times. From advice to service, all our know-how at your disposal. Pioneering and with personal commitment. burster. The brand speaks for itself. Download our new DIGIFORCE® brochure here! Because every hit counts. Precision meets speed. Process monitoring made by burster: Download DIGIFORCE® brochure. DIGIFORCE® 9311. The next generation. THE NEW BENCHMARK FOR ECONOMIC QUALITY CONTROLS. DIGIFORCE® 9311 is the new standard for economic quality control from the measurement technology specialists at burster. 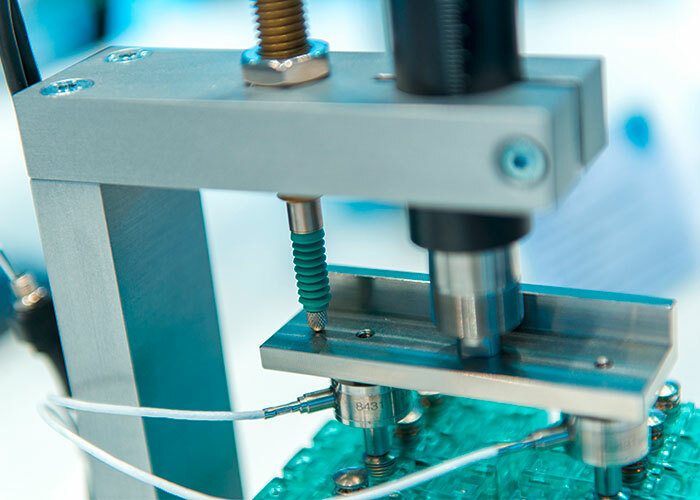 The pioneering force and displacement controller delivers rapid evaluation results when strict quality demands are coupled with high production rates. The intelligent performance and accessory features save setup time, simplify operation and ensure autonomous integration into modern production systems. This one-of-a-kind product gives companies more security regarding increasingly more complex production processes. Your personal benefits. And what do you get out of it? 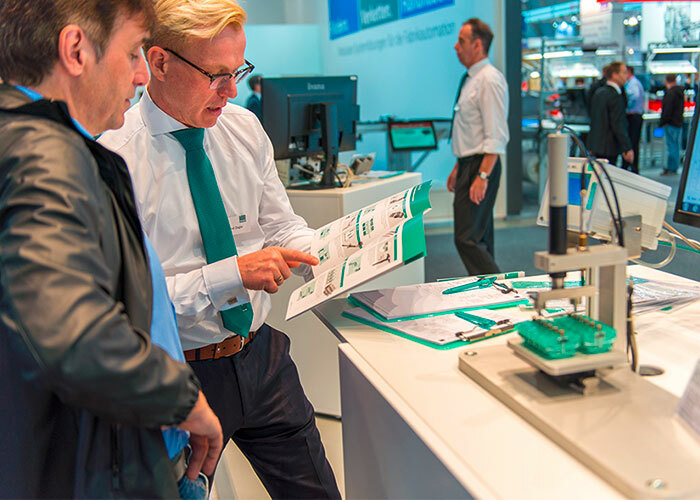 With the fieldbus interfaces, you are flexible, quick and perfectly connected and you save time, costs and other resources when linking to and integrating into existing systems. The automated sensor recognition due to burster TEDS lets you play it absolutely safe and protects you from unwanted erroneous parameters. With DIGIFORCE® 9311 you benefit from our decades of experience in process monitoring. DIGIFORCE® 9311 increases your security in the production process and ensures optimal process capacity utilisation and greater quality output. With DIGIFORCE® 9311 you are now equipped for the increasingly challenging requirements of your customers and markets to come. Suitable for your deployment. Sectors. DIGIFORCE® devices can be used in many different sectors. Suitable for your deployment. Solutions. DIGIFORCE® controllers are extremely versatile. They are used as early as the development and construction phase to determine reference curves. During production, they precisely monitor manual workstations, and partly and fully automated production lines, even if they are running rapid cycles or changing work piece types. High-performance ongoing process diagnosis makes it possible to detect when a process goes wrong so that countermeasures can be implemented quickly. Download the success story of DIGIFORCE® 9311 here! 100 % PROCESS MONITORING. PRECISE. INTELLIGENT. STATE-OF-THE-ART. 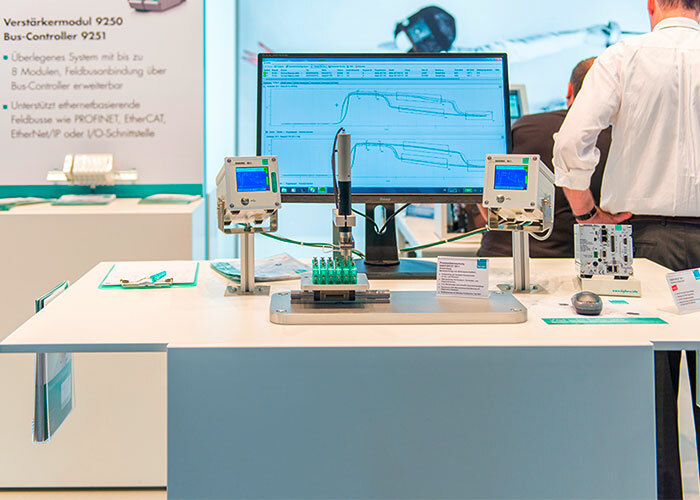 Benefit from the precision, reaction time, sensor variety and flexible fieldbus interface connection. Solve even your most difficult monitoring tasks with flexible evaluation elements and mathematical operations. Reduce your quality costs – DIGIFORCE® 9307 facilitates detailed process analysis for continuous optimisation. With DIGIFORCE® 9307 you are now equipped for the increasingly challenging requirements of your customers and markets to come. DIGIFORCE® devicese can be used in many different sectors. IT COULD NOT BE EASIER. DIGIFORCE® and DigiControl PC software – A high-performance package DIGIFORCE® is a fully autonomous test controller that displays status information and evaluation results in most applications, which can also be transmitted to a controller. The high-performance software package DigiControl has additional functions to further increase process availability and reliability. Even the basic version supports full device configuration, creation of backups, reading and displaying measurement curves including all evaluation results and statistics storage. An especially convenient feature is the definition of envelopes or evaluation window limits and conditions based on a set of curves of measured master or reference parts. In addition to the basic functions, the Plus version of the DigiControl PC software provides an automatic production mode, which logs production measurement data with clear parts reference for example. The resulting measurement logs are not only available in the internal program format, but can also be imported directly into Excel. In addition to the DIGIFORCE® device interface, it also supports an additional control interface for more complex tasks. Thus device configurations can be reloaded or component designations can be transferred for measurement data logging for example. THE ENTIRE WORLD OF AUTOMATION TECHNOLOGY. 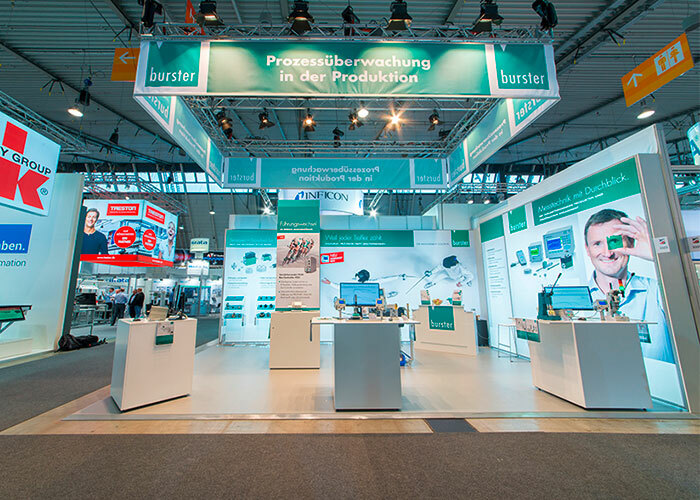 Visit us at the world’s leading trade fair for production and assembly automation. 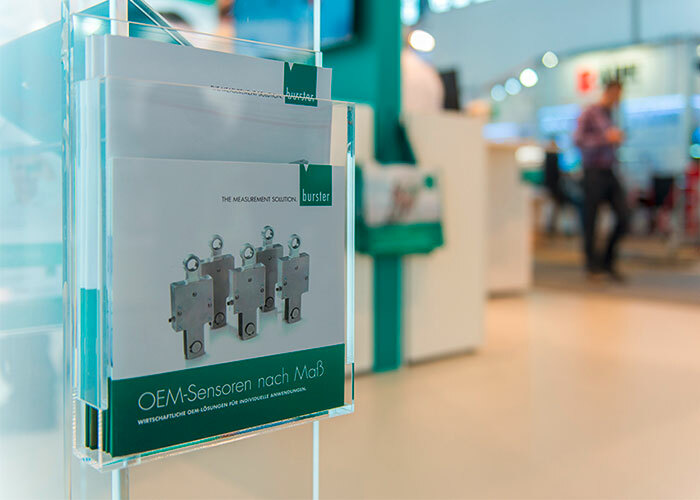 From October 07 to 10, 2019 at Motek, Hall 3, Booth 3222. 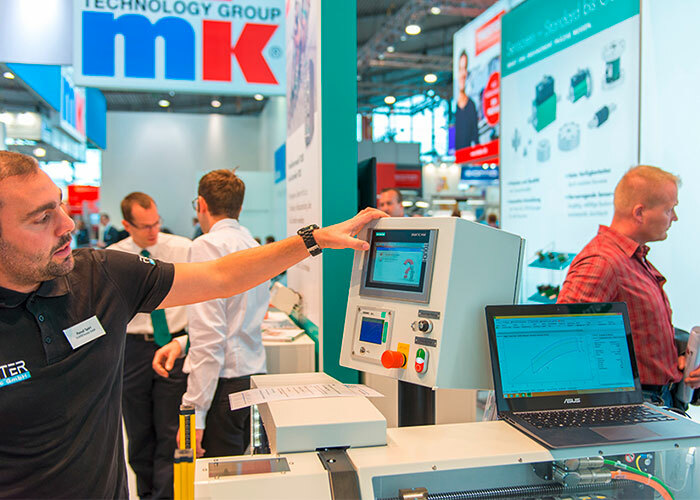 You were not able to visit us at the Motek? No worries. We have summarized the most important aspects for you. WE’LL BE HAPPY TO ANSWER ANY QUESTIONS YOU MAY HAVE. We’ll be happy to visit you and show you DIGIFORCE® live on site, either to a smaller group of interested colleagues or a wider audience. To sign up please use our contact form. We would be pleased to send you more information by post. Please send me more information. Use our customised carefree service package! The DIGIFORCE® controller from burster delivers the maximum in quality and efficiency for your complex, high performance production processes. Use it to grant your company more security in dynamic markets. 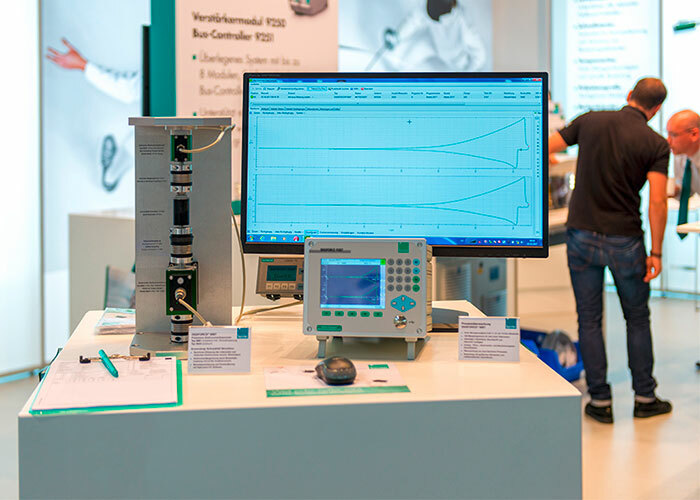 If you’re looking for solutions to your measurement application needs, you should meet us. Ja Request DIGIFORCE® live on site. We’ll be happy to visit you and show you DIGIFORCE® live on site. Ja Sign up for Newsletter (from October, 1x per month). Ja Send me please the information material. Ja Please contact us for Services. Where quality assurance and production control play a significant role, burster in on bord.